Yarmouth Regains Girls Class B Title. Freeport's Lily Horne Takes the Individual Championship. 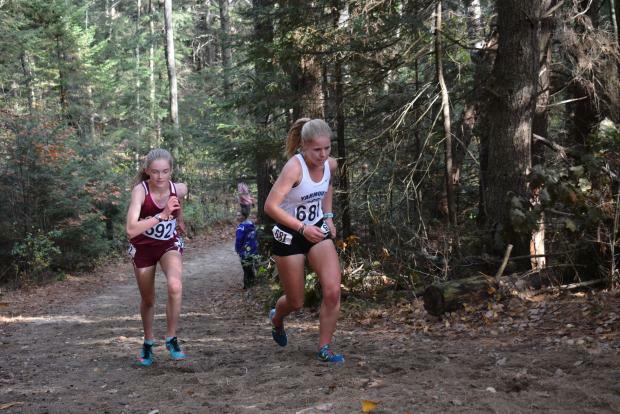 With the duo of Sophia Laukli and Anneka Murrin running at the front of the pack chasing Freeport's Lily Horne for much of the race it was clear Yarmouth was going to have at least two low scorers. But a second duo of Sadie Cowles and Greta Elder also worked together right to the finish line and the Clipper's Abi Thornton wasn't much behind. The Clippers ended the meet with 67 points to claim their second State Championship in three years. 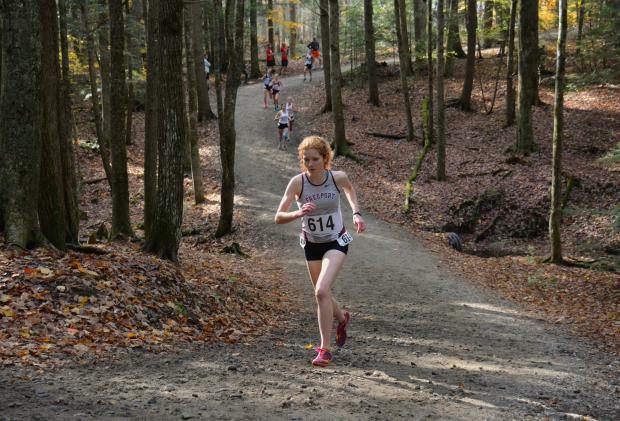 Though Lily Horne took the Individual title in a time of 19:10.85, thirty-two seconds ahead of Laukli, she was the lone grey shirt in the top forty. 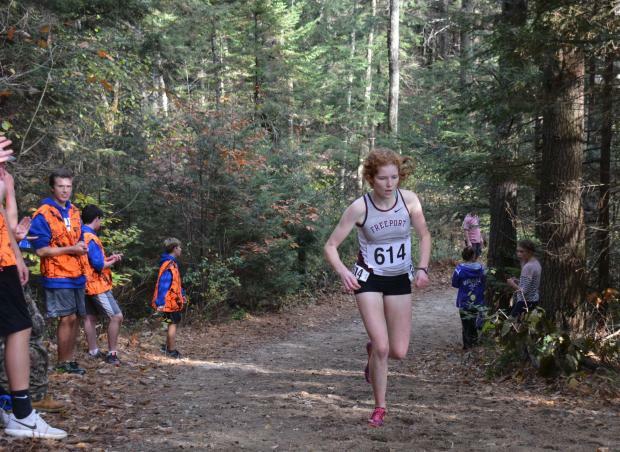 Horne had finished second, behind Murrin, the week earlier at the Southern Maine Regional with a time of 19:34. There was little doubt that Horne had control of the race for individual supremacy early on. In the Hill Loop just past the half mile point Horne had built a lead of 5 seconds over Laukli and Murrin, by the mile mark it had grown to 10 seconds. Meanwhile Laukli and Murrin remained in sync until late in the race. It wasn't until the pain cave that it was clear Cape Elizabeth's first year Lila Gaudrault had insinuated herself between the pair and would challenge Laukli for the second spot. But Laukli hung on for the Clippers, Gaudrault finished 3rd for Cape, and Murrin Nailed down the 4th spot for Yarmouth. Kathryn Miller's 5th place finish led the York Wildcat's second place team result (85 points). The Northern Regional Champion Viking Pack of Caribou was led by Abigail Wimmer's 6th place finish which helped Caribou to a third place team finish (104). 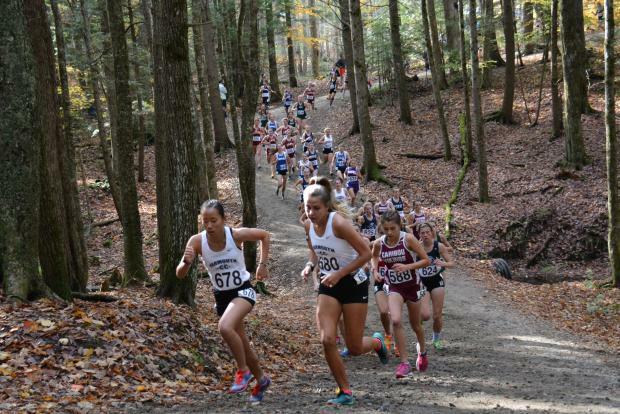 Filling out the top ten were Trinity Montigny (7th) and Caitlin MacPherson (8th) of Ellsworth, 9th was Emily Carty of Fryeburg Academy. 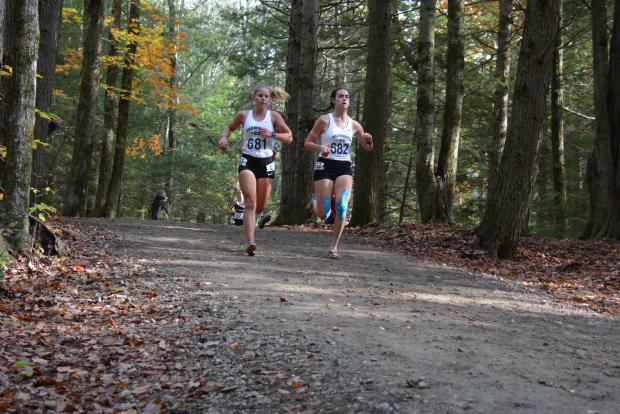 The Northern Regional Individual title holder, Olivia Tiner of Winslow finished 10th. With Laukli in second, and Murrin fourth, Yarmouth was in good shape when Cowles crossed 19th, with Elder just a second behind in 20th. 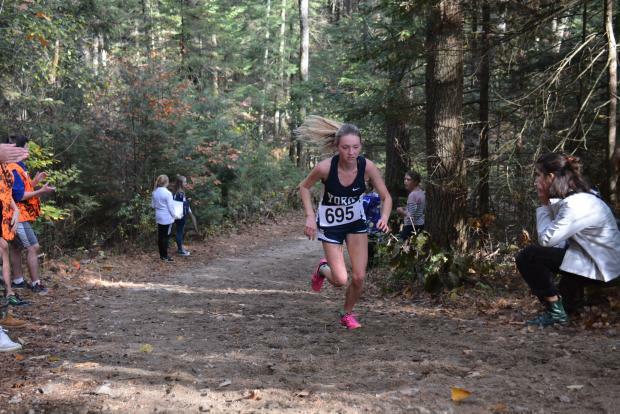 Thornton's 25th place finish closed the scoring for Yarmouth. Yarmouth also took the Southern Regional title last weekend.